How many monstrous Kaiju have you defeated? 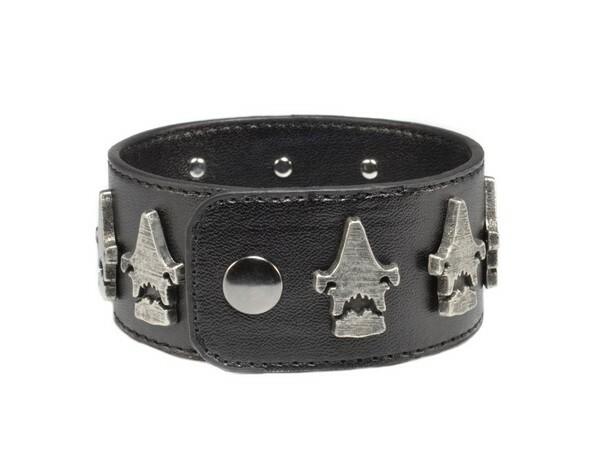 Keep count with this wrist cuff from the sci-fi epic movie Pacific Rim! 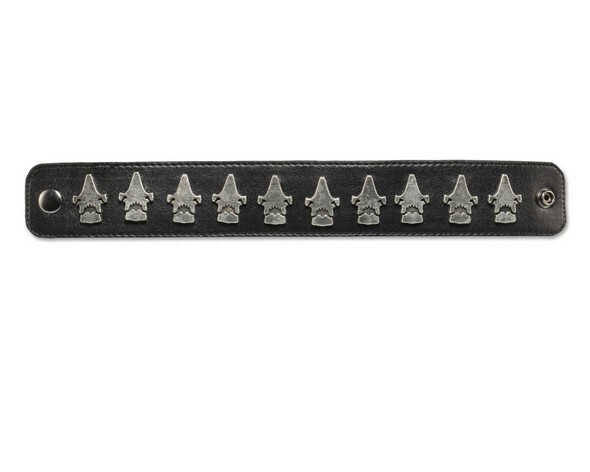 It’s studded with metal Kaiju symbols and snaps closed. 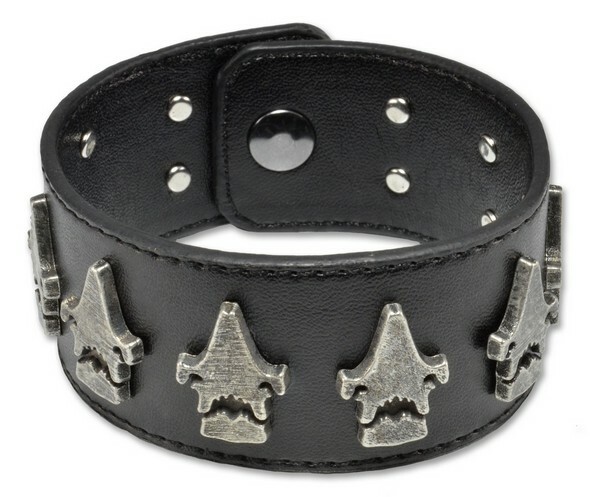 Fits wrists up to 7.25″ around; 1.25″ wide. Manmade material.